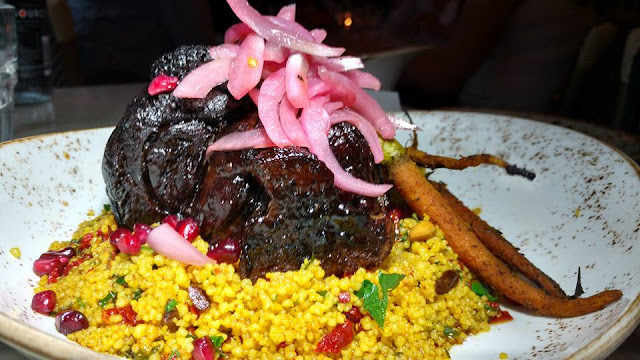 Eating Around So Cal: FIG's New Summer Menu is Red Hot. 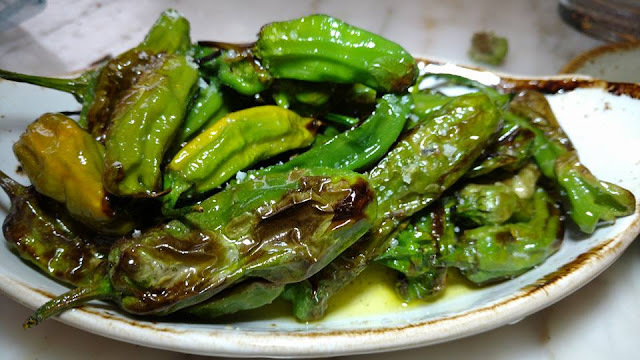 FIG's New Summer Menu is Red Hot. 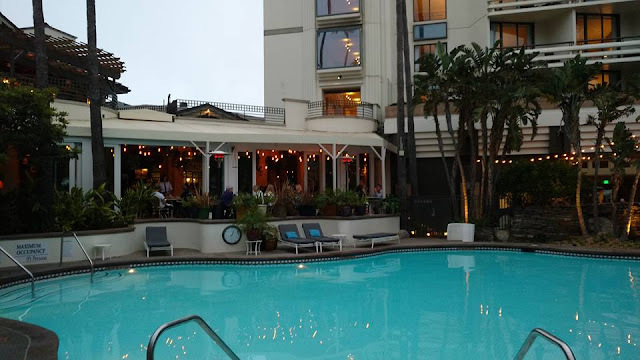 .Located in downtown Santa Monica minutes from the ocean FIG is inside the beautiful Fairmont Miramar Hotel right next to the pool. 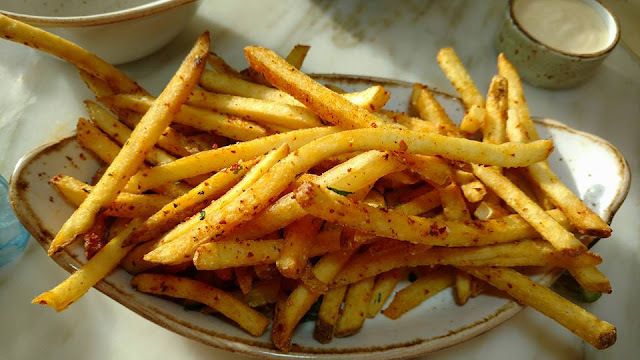 There are a few must get items on the new Summer menu at FIG. 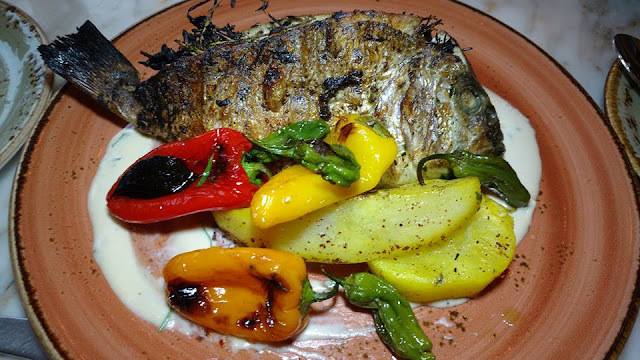 Chef Ghalaini is from Lebanon and it's reflected in his cooking. There are a lot of Lebanese and Mediterranean flavors with his dishes. The lamb pizza is a must get. 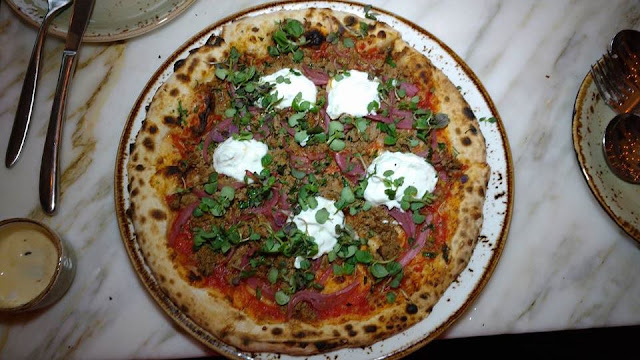 It's a Instagram ready pie that’s bright red from the seasoned lamb sausage (called Merguez)that Chef tops the pizza along with mint, yogurt, and pickled red onions!. While it's not hot it’s a spice rich pie. 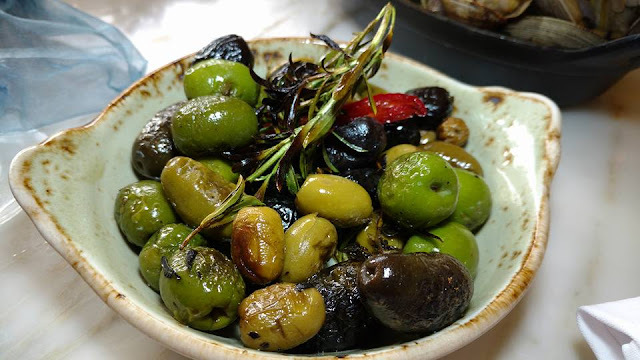 Usually you don't see olives staring in a dish but with FIG's warm olives they are center stage. With olive some spices, herbs, and salt these olives are roasted and served hot. Its hard to eat just one. Try to get a table looking out at the pool if you can.